Reservoir Minerals provided an update on the diamond drilling program at the Cukaru Peki Deposit in eastern Serbia, which is a joint venture with Freeport-McMoRan Exploration Corporation. Highlights include an intersection of 136.0 metres (estimated true thickness 119.3 metres) from 463.0 to 599.0 metres in drill hole TC 150083 yielded an average grade of 6.05 % copper and 6.80 grams per tonne (g/t) gold, or 10.13 % copper-equivalent (CuEq), including 49.0 metres (estimated true thickness 43.0 metres) grading 13.74 % copper and 11.82 g/t gold, or 20.83 % CuEq. Reservoir Mineral’s shares were last up 1.9% at $7.00 apiece. The stock is up 0.29% or $0.02 after the news, hitting $6.89 per share. About 5,983 shares traded hands. Reservoir Minerals Inc (CVE:RMC) has risen 6.00% since March 15, 2016 and is uptrending. It has outperformed by 0.26% the S&P500. 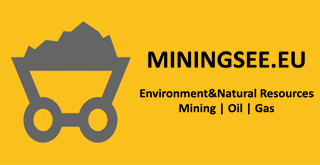 Reservoir Minerals Inc. is an exploration and development company. The company has a market cap of $332.84 million. It currently has negative earnings. The Firm holds a portfolio of projects in Serbia, which include gold, silver, copper, lead and zinc exploration projects, where four licenses are subject to earn-in agreements in which partners are funding the exploration costs.